Barbara Kingsolver once likened writing fiction to planting a garden in the desert. Meanwhile, writing nonfiction is weeding an overgrown hillside into something beautiful. I’m going to let you in on a little secret. … I’m more weeder than planter. Most of what I write is nonfiction, and I know a few Sub It Clubbers are in the same boat. So in tribute to all you “weeders” out there, I’ll spend the next few months posting about nonfiction queries. This month we start with picture books. Joining me for this post is Hannah Holt, who graciously agreed to let me dissect her query letter for her picture book biography, DIAMOND/MAN (Balzar + Bray, 2018). This is the letter Hannah used to hook her agent. So, THANKS, Hannah! Sub It Club query master Heather Burnell recently used the framework “the hook, the book, and the cook” for fiction queries. The same rules apply for nonfiction. Here’s the breakdown. HANNAH’S QUERY: Before a diamond is a gem, it’s a cheap gray rock called graphite. It only becomes diamond through an intense trial of heat and pressure. Tracy Hall’s life was like a diamond furnace—born into poverty, bullied by peers, forced to work at an early age; however, he took his unique skills and became one of the brightest inventors of the 20th century, eventually building the first machine that made diamonds. Hannah’s concise pitch hooks us with three compelling sentences.We know the protagonist. We have an idea of the problems and conflicts he faced. We get a sense of the larger themes and takeaways of the book. Side note: When writing a picture book biography, it’s not enough to highlight someone because they are well known or the first to do something. There has to be a takeaway that makes that person’s achievement relevant to children today. In DIAMOND MAN, Hannah has focused on the idea of hardship and pressure creating something priceless. That has universal appeal for children today and makes Tracy’s story worth telling. 2nd paragraph: The Book: Include your title, genre and word count. HANNAH’S QUERY: My picture book biography, DIAMOND MAN, is a two-tale picture book—a turn and flip. In one direction is the story of natural diamond creation. In the other is a biography of inventor Tracy Hall. The two stories meet in the middle with a shared phrase. Diamond Man is a lyrical double-bio in the spirit of Martin & Mahalia and Bird & Diz; only in this story, one of the main characters is a rock. It’s a life-cycle/rock-cycle tale that will appeal to young historians and budding geologist alike. Underneath the layers of lava and life experience, this book shows how journeys can triumph over beginnings and how one person can rock the world. Ok, wow. Is it any wonder Hannah sold this book? Hannah’s told us her category (picture book) and genre (biography). She’s also noted her book’s unique structure, which is often a selling point in nonfiction picture books. To help agents and editors understand the structure, Hannah’s picked two comp titles as shorthand. We know the type of voice (lyrical). She’s even given the agent/editor some avenues for marketing (appeals to young historians/geologists). One thing Hannah didn’t include was her word count. When I asked about this, Hannah said she typically does include her word count in the query, and it is at the top of her manuscript, which is pasted below the query letter. HANNAH’S QUERY: I’m a two-time SCBWI WIP grant honorable merit recipient and this year’s Dorothy Markinko Scholarship Award winner. I was fortunate to have access to rare materials about Tracy because he was my grandfather. Here is where nonfiction queries deviate from fiction queries. Hannah has shown us why she is the right person to write this book: she has access to source materials because of her relationship with Tracy Hall. In this section, you should include any information that specifically answers the question, “why are YOU the one to write this book?” If you are not related to the person you are writing about, perhaps you’ve done significant primary research, digging through archives and interviewing relatives. Maybe you have an endorsement from the subject of the biography, or the two of you are co-authoring. Perhaps you have a shared religious or cultural heritage (#ownvoices). Or maybe your authority comes from your work experience, education, or hobbies. I spent six years working at NASA, for example, and always include this when I am querying picture books and magazine articles on Science, Technology, Engineering, and Math (STEM) topics. Here you can mention you have “additional picture books upon request” if you are querying an agent instead of an editor. You can state why you are querying this agent or editor specifically (though I often put this at the very beginning of my query before “the hook.”) Then, be polite. Thank the agent/editor for their time and consideration. Paste in your manuscript. Boom. Done. If you have follow-up questions, Hannah and I are happy to answer them below. And stay tuned for next month when I discuss novel-length nonfiction queries. 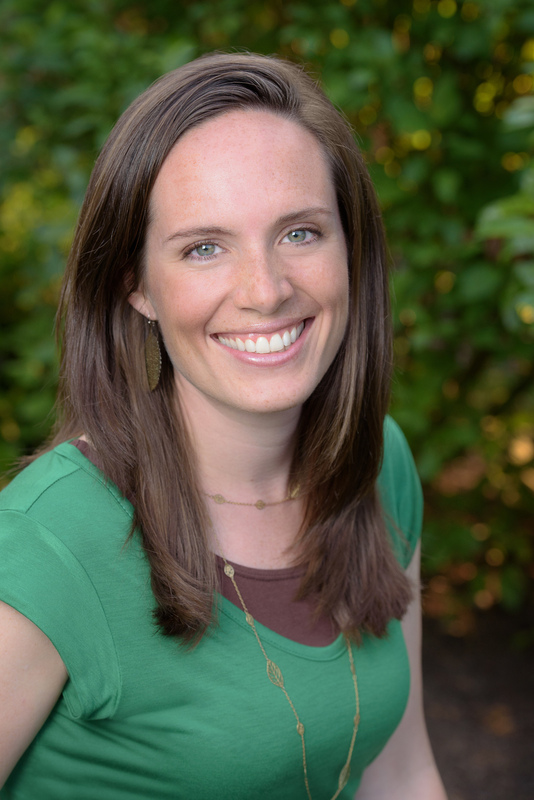 Hannah Holt is the author of DIAMOND/MAN (Balzer+Bray, Fall 2018) and A FATHER’S LOVE (Philomel, Spring 2019). She’s represented by Laura Biagi of the Jean V. Naggar Literary Agency. You can find Hannah chatting on Twitter and occasionally posting on her ill-kept blog. Thanks for this column! There is so little written to guide those writing nonfiction children’s books, including picture books. Happy to help, Susan! I’m just so thankful Hannah provided us with such a useful example. Happy querying! I can’t wait to read your books, Hannah! I love how you break down the query letter, Kirsten. Thanks for a great informative post! Your welcome, Kirsti. Thanks for stopping by. I am more intrigued than ever to read Hannah’s book! Thank for this helpful break-down on NF queries. Me too Cathy! I cannot wait to read it! Me three…I can’t believe we have to wait another year for it’s arrival! Thanks, Cathy! Looking forward to your book WHEN A TREE GROWS! Excited to be debuting at the same time as you. Thank you so much for this post! It’s so helpful to see successful query letters. I’m glad Hannah was gracious enough to share. Thanks, Rachel. Glad it helped. Wow, this query is awesome! Any agent would know right from the start they are dealing with a talented writer. Thanks so much for sharing, Kirsten and Hannah! I know. I read Hannah’s letter and new instantly she had a winner. So much talent! Thanks, Amy. I’m thankful to have Laura on my writing team. Hope all is well with you! Thank you, Hannah and Kirsten, for the break-down of Hannah’s query letter. Those letters can be intimidating and I appreciate seeing a successful query. Mentor texts are always most helpful to me — if that mentor text is another query. I learned a lot about writing queries from reading successful queries. Happy to pay it forward! Best of luck! What a helpful post–and a great query. Thanks! Thank you, Sara! All the best on the query trail! Glad to help Sara! All the best as you query on. This was incredibly insightful. Thank you SO much to both of you. I cannot wait to read this book! Thank you Hannah and Kristen for a very enlightening and thought provoking post. What a great way to pay it forward. Thanks Maria! And happy querying. Thank you for sharing this successful query letter. I primarily write non fiction picture books. I have just started submitting so this post was timely and very helpful. Glad to hear we are able to help. If you have any questions, please let us know here or in the Facebook forum. All the best! Awesome “critique” of Hannah’s query. I like that saying: the hook, the book, the cook. Very clever. Can’t wait to see Hannah’s book! Glad we can help. Hope these tips help you craft a bright and shiny NF PB query. Happy submitting. Thanks, Tina. I have a feeling you write compelling nf query letters. 🙂 Maybe you could share yours sometime. That has to be the best query letter I’ve ever seen, regardless of genre! Thanks for sharing it, Hannah, and for explaining it, Kirsten! Thanks Teresa! That means a lot. Holy Toledo! This post is amazing. My queries are so blah. Thank you for the example and the tips. Thank you so much Kirsten and Hannah. Stellar stuff. Hi Lori Ann, I agree that Hannah’s query has a lot of zip and zing. Hopefully it will provide a good model. Very helpful post. I’m delighted to see that you are focusing attention on NF. Thank you, Kirsten and Hannah. Glad you find it helpful, Pat. Thanks for all you do for the nonfiction community. Hannah, a question for you. Did you send this query by snail mail or email? Do you think it makes any difference about query length if it’s an email? Email/Electronic form. I hardly ever send anything via snail mail anymore. Mail Snails are all but extinct. And I’ll just chime in that queries for PBs need to be short no matter how you send them — four paragraphs max. (hook, cook, book, and a quick closing paragraph). Congrats, Hannah, and thanks. I’d wondered how much info to put in comp titles–author? publisher? ISBN#?–but I’m glad to see you kept it really simple with just the title. This was so helpful! Lucky, I’m sure Heather will weigh in too, but the key to using comp titles it to use recognizable books versus obscure titles. The agent/editor should be aware of the titles or easily be able to find them with a quick search of author and title. If you have to list the ISBN or publisher to help someone find the book, then you might want to consider picking a different comp title. I always just put the TITLE (in all caps) when using a comp title. Sometimes I would name the author as well.